Dragons are a global phenomenon, one that has troubled mankind for thousands of years. 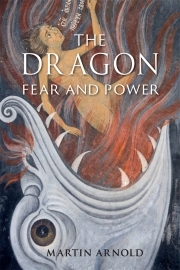 From the fire-breathing beasts of North European myth and legend to the Book of Revelation’s Great Red Dragon of Hell, from those supernatural agencies of imperial authority in ancient China to those dragon-women posing a threat to male authority, dragons have a wide variety of forms and meanings. But there is one thing they all have in common: our fear of their formidable power and, as a consequence, our need to overcome them, to appease them or in some way to assume their power as our own. How can this be explained? Is it our need to impose order on chaos in the person of a dragon-slaying hero? Is it our terror of Nature unleashed in its most destructive form? Or is the dragon nothing less than an expression of that greatest and most disturbing mystery of all – our mortality? Martin Arnold traces the history of ideas about dragons, from the earliest of times to Game of Thrones, and asks what exactly it might be in our imaginations that appears to have necessitated such a creature. Martin Arnold is Reader Emeritus in Old Northern Studies at the University of Hull. His books include The Vikings: Culture and Conquest (2006) and Thor: Myth to Marvel (2012).